When it comes to great SEO design, how your web page looks and interacts is very important. It’s not just about getting the right keywords and traffic. All SEO services might be for naught if, at the end of the day, the landing web page isn’t keeping people there. In the industry, there is something known as a bounce rate. A user that comes to a specific page then, without interacting with it, closes the browser, goes back on their navigation or otherwise moves away… such a user is said to bounce. The bounce rate is the percentage of people that do this. So, in other words, a high bounce rate is bad. There are some great tools that can help you track this figure but, what can you do to ensure it stays low? In web design, you have to understand a concept known as the fold. Anything below this is usually out of view when you land on the page. This often means scrolling down, so if the key part of your page isn’t on the fold, customers may not stick around. For instance, let’s say you have a page that has some sort of tool or dynamic feature, like a size converter for your products. While text and other elements are useful, these shouldn’t push the purpose of the web page – the tool – over the fold. This is what users are coming for, after all, so if they can’t even see it, your web design is failing. Quite a lot of people now browse, search and shop on the go, so a mobile friendly website is essential. Preferably, this also needs to be adaptable for the wider tablet frame – while big, many tablets aren’t big enough to fully use a desktop website. Another factor that can influence user opinions is the loading time. This is especially true on mobile platforms, since these tend to be used on the go and with a less powerful connection. If a customer has to choose between your website, and a rival site that loads much quickly, don’t be surprised if they choose the latter. When it comes to the user experience, time really is money. It’s well known that simple navigation is the key to efficient web design – the further someone has to click to get somewhere, the more people simply stop searching – but it also applies to web design. 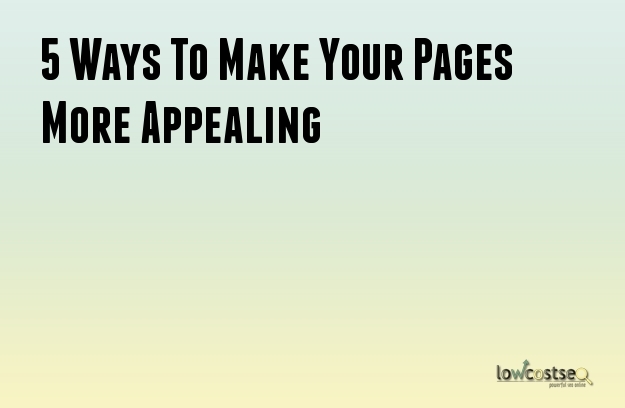 From the very start, your page should show exactly what people are expecting. If you’re an e-commerce site with various product pages, people searching for “jackets” should, ideally, land on your jacket page. If they can’t see jackets and start browsing, you risk losing customers. While a simple design is needed, some visual stimulus also goes a great way. For e-commerce sites, this is an obvious conclusion: people need to see what you sell. Yet, for other sites, a simple image should reassure users there in the right place. The trick, however, lies in not overpowering the website. Too many images well increase the loading time, while a very large image at the top may push the actual ‘purpose’ of your website well below the fold. Also, you should also be weary of using stock images. Not only do these often look bland, Google might also see your content as generic (if the image in question is widely used). So, there you go. If you want people to stay on your website, as well as supporting your website optimisation, here are 5 things you can do to improve user retention.